Apna Haq is able to meet the needs of black and minority ethnic women and girls in Rotherham who are experiencing violence, thanks to our brilliant staff and volunteers. We take on Social Work students from local universities and women living locally who are interested in volunteering with us. Some of our volunteering opportunities are described below. We are seeking a volunteer who can produce a monthly newsletter to reflect Apna Haq’s varied work. This would require you to connect with various members of staff to understand our current work, write the newsletter and send it out to our distribution list. 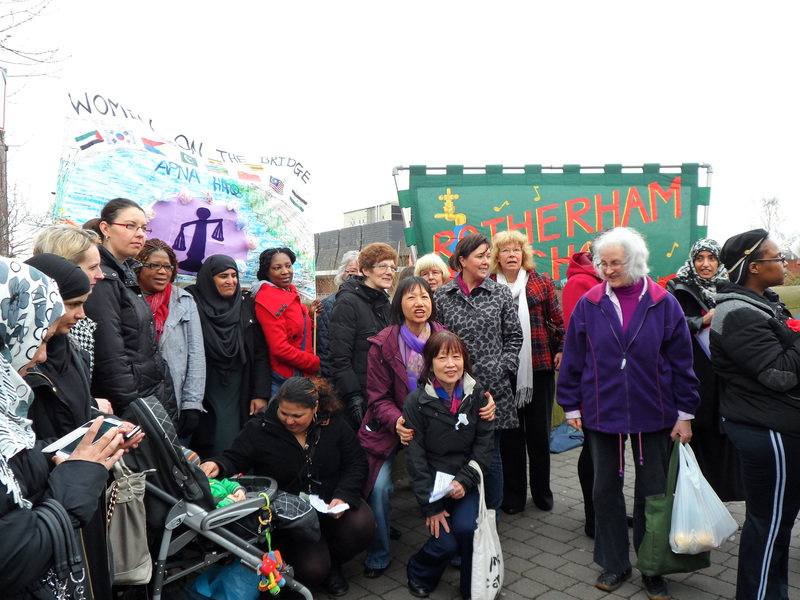 We would like to produce small-scale research looking at issues such as forced marriage, honour-based violence, and violence against women and girls in Rotherham. The data and information will be gathered via a series of questionnaires. The volunteer would need to write questions, upload them to Survey Monkey, and determine the best ways to reach young women in Rotherham to participate, e.g. via social media platforms. We are looking for a volunteer to provide admin support within the office on certain days of the week. This will give the volunteer an insight into Apna Haq’s work, including learning about the issues of violence against women and girls, and understanding our liaison with the police, social care, solicitors, and other related services. Why work for Apna Haq? You will work in a small, friendly team of women who are passionate about supporting black and minority ethnic women to be free of violence. Our office is in central Rotherham (10 minutes’ walk from the train/bus station). Free training is available for volunteers throughout the year, on issues of violence against women such as child sexual exploitation (CSE), domestic abuse awareness, forced marriage, honour-based violence, and sexual exploitation. If you are interested in working/volunteering with Apna Haq, please contact us.